Sailing from Saône and Camargue roundtrip aboard one of our 2 deck ships. Ships sailing this itinerary include Van Gogh, Mistral or other similar vessels. Meet at 16.30 in Lyon Perrache. Transfer by coach to Chalon-sur-Saone. Boarding around 18.30, presentation of the crew and welcome cocktail. First dinner on-board. 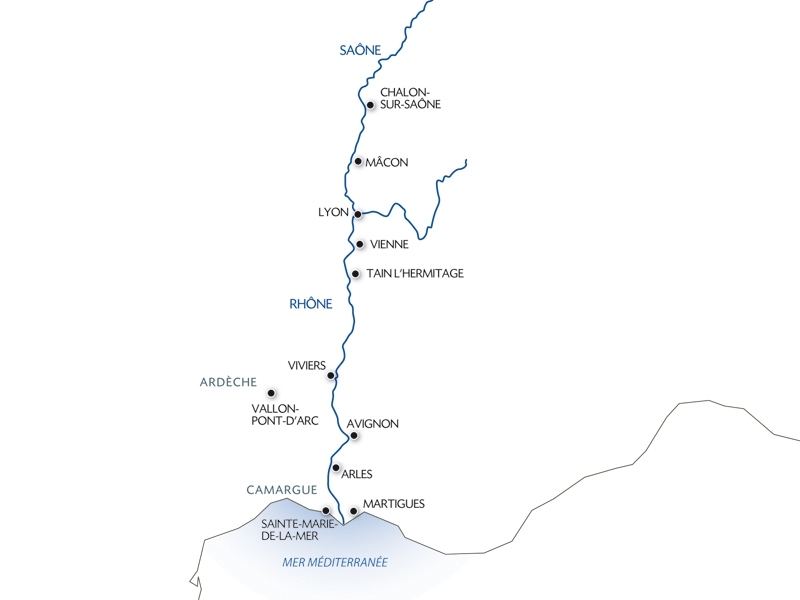 The boat will leave Chalon-sur-Saone to move to Macon. Return on board. Departure for Tain l’Hermitage where you will arrive in the evening. Morning spent cruising. Optional excursion: discover the Pont d'Arc Cavern, a replica of Chauvet Cave (only on compulsory pre-reservation before the departure) Arrival at the end of the evening. 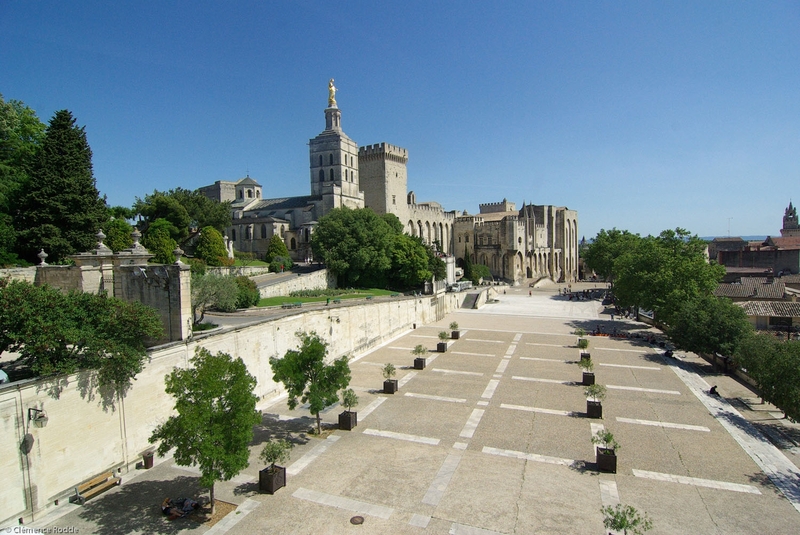 The boat will head for Avignon. Return on board and departure for Arles. Arrival during the afternoon, free time in the old town of Arles. 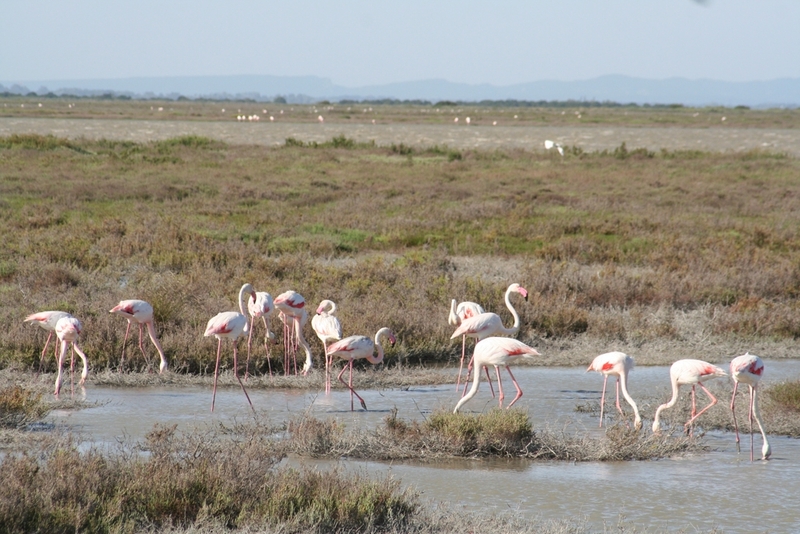 CLASSIC: Excursion in the Camargue. An immense exceptional plain where sea, wetlands and pools are inhabited by an extraordinary variety of water fowl. Return on board and gala evening. Breakfast on board. Disembarkation around 9.00. Return by bus to Lyon. Free time for lunch along the way. Arrival in Lyon earlier this afternoon.